Group purchasing organizations (GPOs), from industry-specific buying groups to retail franchise associations and other cooperatives, present the possibility of significant buying power and tremendous member value through competitive procurement pricing and rebates. However, GPO transaction management usually entails unwieldy invoice and billing complexity. That’s where Corcentric can make a difference. Corcentric specializes in complex transaction management systems that streamline the exchange of purchasing data between GPOs and their members. GPOs gain instant visibility into their members’ transaction data and the power to leverage that information in supplier negotiations. From PO creation to payment application, each step in the transaction process is centrally managed within the Corcentric solution. Your members have cloud-based access to POs, invoices, disputes, and payment status any time they need it. Lessen the burden and chaos on members caused by multiple supplier invoices and due dates. Your members will receive a single monthly statement with a consolidated view of their purchases for full visibility. Through consolidated invoices and visibility, your members will cut the administrative burden of making multiple payments by issuing a single monthly payment to Corcentric. 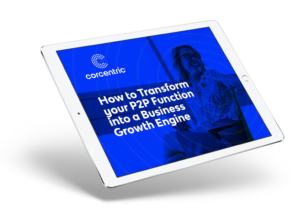 Corcentric assumes your suppliers’ credit risk by extending purchasing credit directly to your members, giving members more purchasing flexibility across all of your GPO suppliers. Our supply chain financing gives suppliers the option to get paid early on invoices – typically as soon as an invoice has been approved by a buyer. We pay your suppliers while allowing your buyers to extend payment terms. With all transaction data centralized, you have full visibility into purchasing behavior and trends that can be easily leveraged in supplier negotiations. Corcentric’s spend analytics tools also allow a GPO to measure member activity and demonstrate the savings delivered to members. 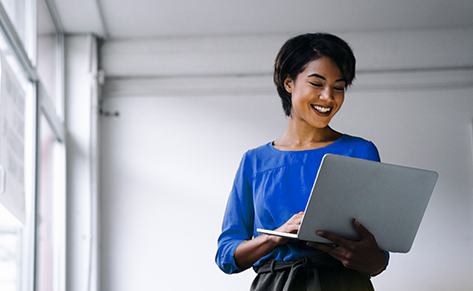 Connect with one of our experts to help your business streamline your transaction management system. Our GPO solutions experts will be in touch with you shortly.